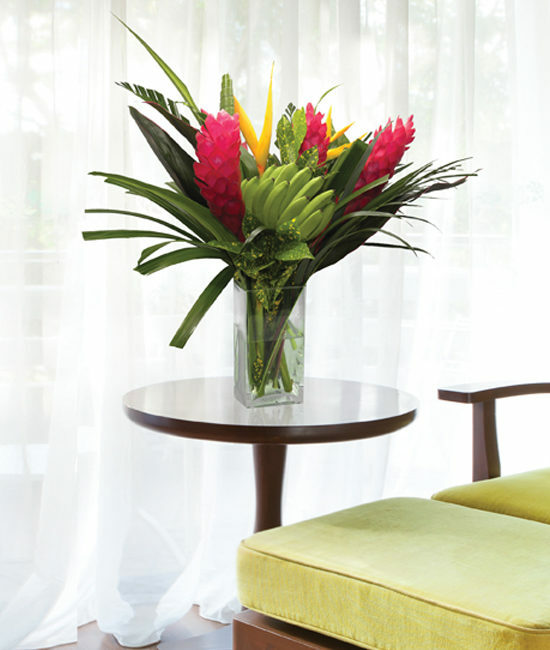 A bouquet aglow with tropical beauties is a grand way to warm someone’s heart and home. 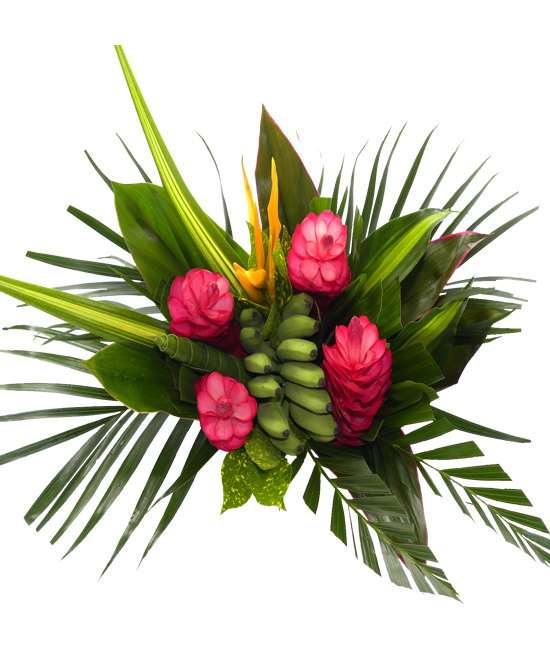 Suitable for simply every occasion, this surprise from warmer climes includes red ginger, heliconia, and an array of other tropical beauties to include banana, all set against a lush backdrop of red Ti leaves and monstera and Phoenix palms. Creating a true paradise oasis. Fill a vase with warm water and add food as directed. Trim flowers underwater with a diagonal cut of 1” or more from each stem. Place the stems in a vase and keep them in a cool spot, out of direct sunlight and away from drafts. We suggest leaving the rubber band on the base of the bouquet for easy arranging.